Gift Cards are good throughout the mountain. Fire at The Ridge, lift for skiing/boarding and tubing or lesson packages. Call (866) 860-0208. Powder Ridge has gift cards that can be purchased and then used for activities, lessons, or food and beverage items at Powder Ridge. 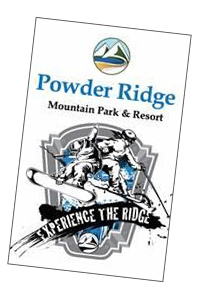 Call (866) 860-0208 to purchase your gift card, or stop by Powder Ridge today! Terms and conditions. This card can be used to purchase passes, season passes, lessons, food & beverage and retail products. This card will not be replaced if lost or stolen and will not be exchangeable for cash except as required by law. Use of this card constitutes acceptance of these terms and conditions.